Do you want to visit Turkey? Are you going to plan your next trip to Turkey? But you don’t know anything about this historical country? Let’s keep in mind some travel tips to be prepare well and have an unforgettable trip ! As a large country with diverse territory, Turkey's climate varies from region to region and from season to season. The most pleasant weather is usually in spring (around April, May) and autumn (October, November). If you want a holiday on the Mediterranean or the Aegean, June to September is the most appropriate time. However, in the middle of the summer there will be times when the temperature is higher than 40 degrees Celsius. If you want to play snowboarding and others winter activities, December to April would be the ideal time for you. Turkey has a good long-distance bus system; there are many buses with air conditioning system and high-quality service operating different destinations. However, the buses are often crowded and no-smoking. Traveling by bus in Turkey is very convenient. Go to Otogar (bus station) in any major city, you will find a bus to most places in half an hour or 1 hour. Another option is Fez Bus, this is a bus system connecting Istanbul to all the famous sites in western Turkey and some places which are not on the tourist route. Riding the train is usually cheap, but slower than the bus. Turkey has less than 11,000 km of railways, there are only some cities and tourist destinations included in the rail line. One of the special things is that the bus tickets are included with the train ticket, so you do not need to pay any additional charge when boarding the bus. The major cities and tourist destinations that can be reached by train from Istanbul are Edirne, Eskisehir, Denizli, Konya, Adana, Kayseri, Gaziantep, Diyarbakir, Erzurum, Kars, and Tatvan. Train tickets can be ordered online, at stations, central post offices, travel companies, or at train stations in major cities. Hizli ferry is a high-speed ferry connecting Istanbul to other parts of the Marmara Sea. 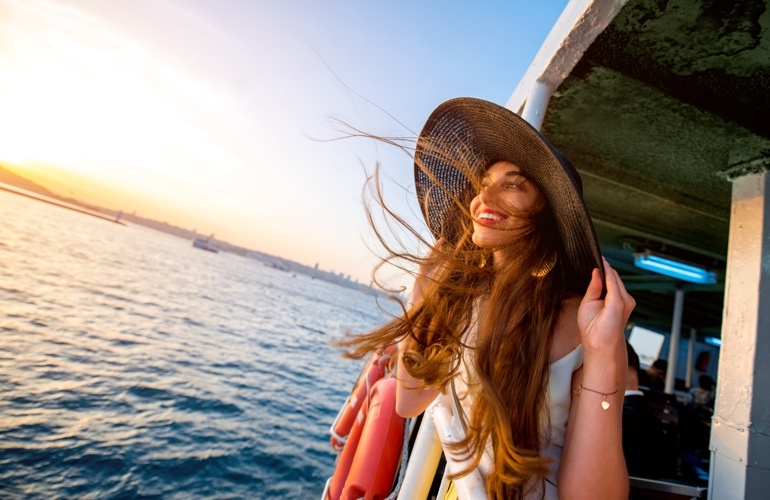 There is also some ferries which connect between Istanbul - Izmir, and Istanbul - Trabzon in the east of the Black Sea. 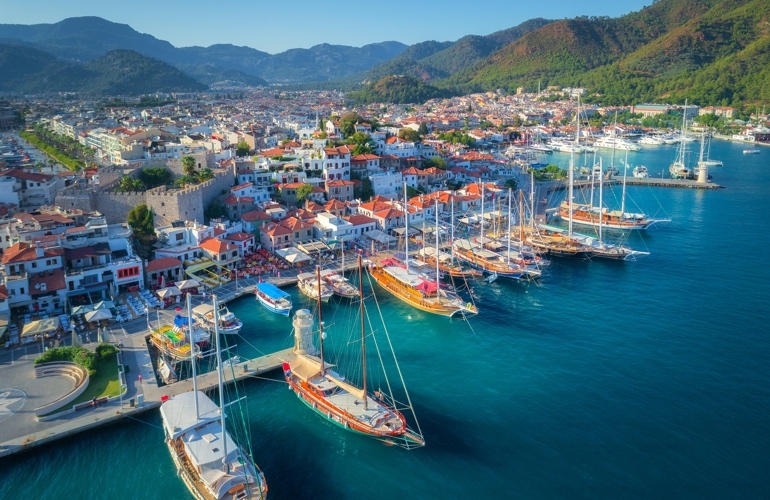 The inhabited islands in Turkey have at least one cruise departing daily to the nearest inland cities in the summer. But because of the bad weather conditions, ferries and yachts stop working in the winter. 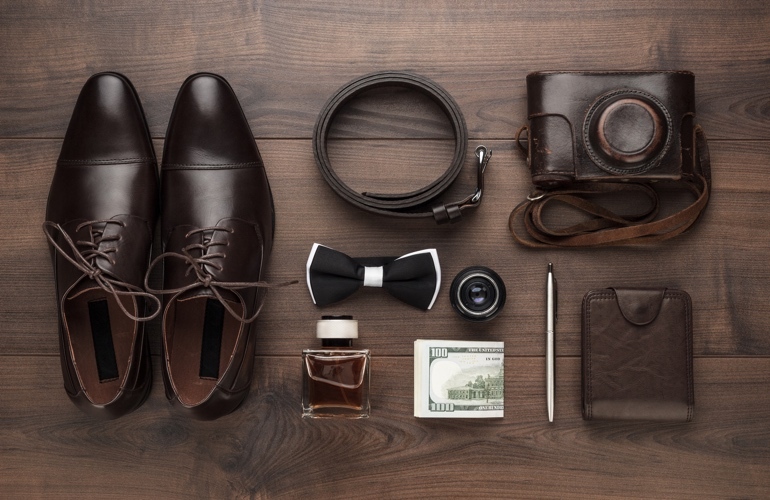 Turkey is the world's largest producer of leather goods, so leather goods are cheap here. You can easily find some presents or souvenirs in one of the different stores in Laleli, Beyazit, Mahmutpaşa of Istanbul. You can also look for products from olives, ceramics, blankets, handmade rugs in the Sultanahmet area, many major cities and other tourist destinations in Turkey. Bursa is famous as home to many beautiful apparel fabrics, and handcrafted pottery. In some towns in Cappadocian, it is possible to see artisans making products or you can experience making your own products. The currency of Turkey is the Lira (TRY). 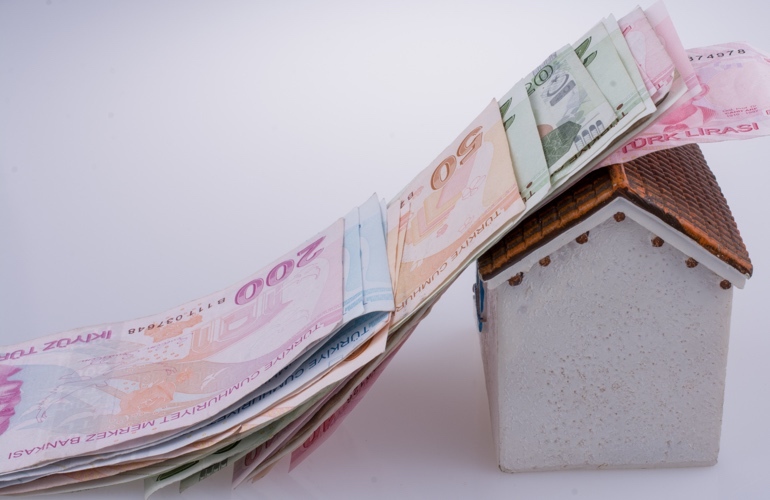 It is better if you can prepare some local currency in your home country to avoid the higher exchange rates or any inconvenience in Turkey. In case you don’t have time to do it, don’t worry! Because you will find many tourist destinations who accept Euros or Dollars. Furthermore, you can use your credit or debit card in popular tourist destination without difficulty. Turkish cuisine is the legacy of the Ottoman cuisine, which is a delicacy fusion of Central Asia, the Kavkaz, the Middle East, the Mediterranean and the Balkan culinary. That is why Turkish gastronomy is tasty and preferred for most people. 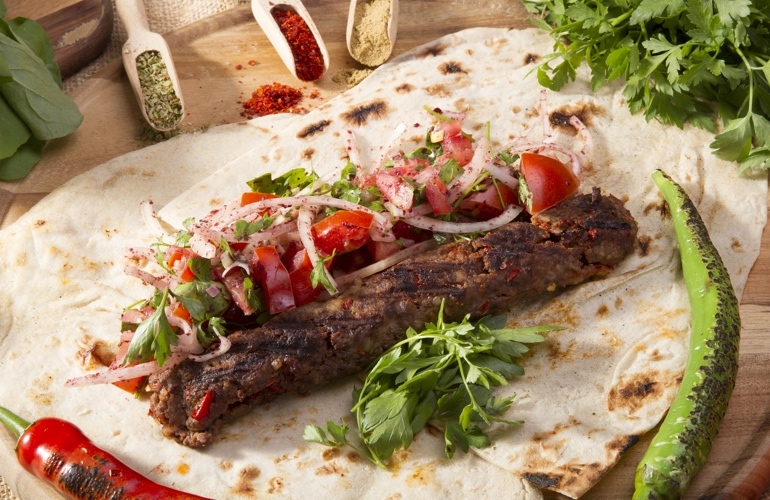 Kebap is a firewood barbecue served with chestnuts wrapped in paper bags. This dish is quite simple to make but the taste is quite attractive. Just made from a simple combination of sandwiches, green salad, and grilled fish. 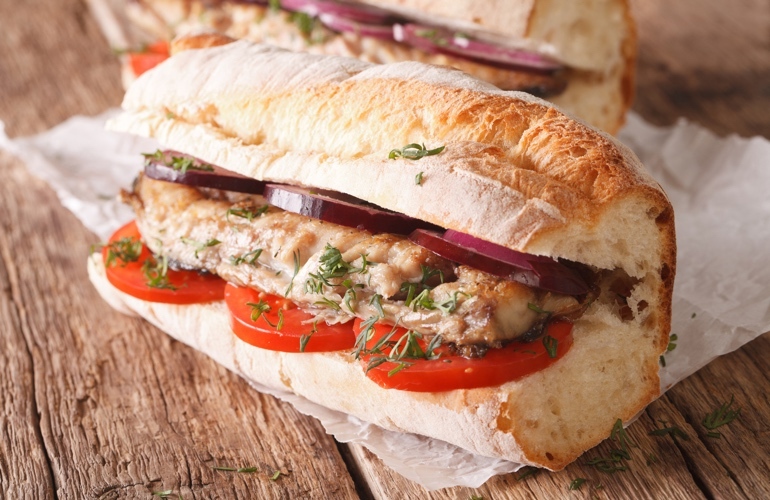 Fish sandwich is considered one of the attractive street foods in Turkey. Turkish Cream does not look like anywhere else. Because of its original presentation, its natural and creamy flavor, and its elasticity so you have chew it more than the Italian ice cream. 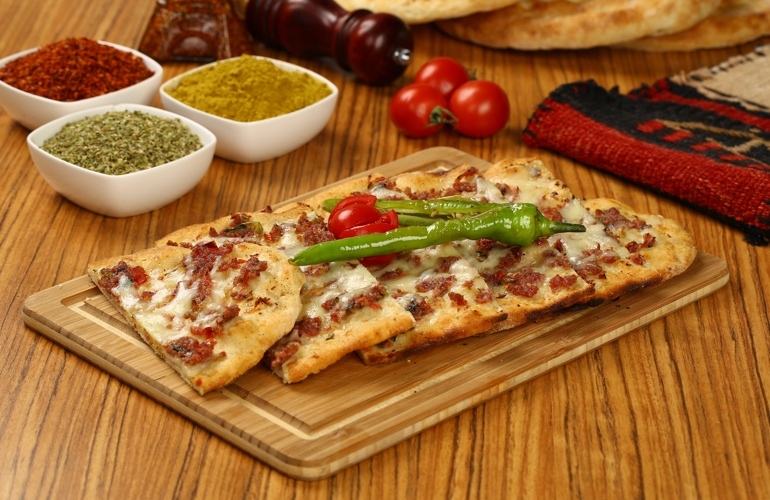 Pide is also known as Turkish pizza baked in the oven with charcoal. The top of this cake is combined with a variety of ingredients such as sausage, smoked beef or chopped lamb, avocado and some vegetables. 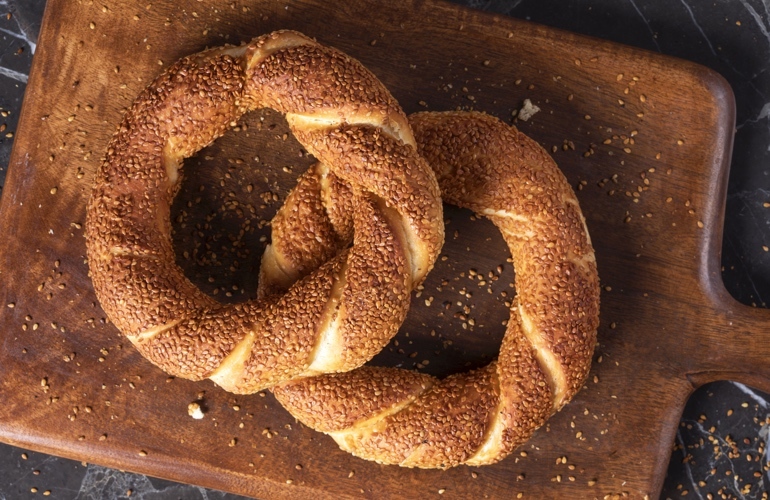 This is a type of delicious bread, with crispy crust pie surrounded by sesame seeds.